Is it OK to take photos in retaurants? What’s the etiquette? Should I take photos in restaurants? Is it OK to take photos of food in restaurants? It’s a big issue for food bloggers. I posed the question on Twitter, and got a mixed bag of responses back. Nobody seemed quite sure, and there’s certainly no consensus. You’ve paid for it, it doesn’t affect the other diners so unless you start demanding waiters adjust the lighting ok, surely? I think it depends on the restaurant, the proximity of the next table etc. However, it’s your food and you’re paying for it. … definitely a tricky one. Something tells me photographing plates of food is a little rude, but I can’t really put my finger on why. Why does it make me feel so uncomfortable? Am I over-reacting, as usual? The Internet is a visual medium. The photographs that illustrate blog posts are as important, if not more important than the words. Great writing will always, always shine, and I appreciate it enormously, but it’s the photography that catches the eye and draws the reader in. Some of the best blogs, the ones I come back to again and again, the ones whose recipes I actually cook myself, are the ones with amazing photographs on them. At home, it’s possible to cook something, plate it well and take a decent photo with at least some control over and understanding of the lighting. Good results are entirely possible, and I’ve been lucky enough that the hyper-constructively critical people at Foodgawker and Tastespotting agree with me now and again and publish my work. It just takes a lot of time and work to take a good shot and massage it into a great one. But in a restaurant? Is it possible to take a decent photo, and more to the point, should you even try? There are a few things that give me reason to pause. I’m never quite sure whether or not photography is acceptable, and I’m nervous about the waiting staff spotting me and – can you imagine the awkwardness for everybody? – asking me to stop. There are other people in the place, and they’ve come out to have a good time, spend some time with their family and friends, eat some great food. Perhaps they wouldn’t expect to endure some people on the table next to them endlessly snapping photos of their food for some stupid food blog? I’ve read discussion threads on the subject, and some of the practices described leave me speechless. Pulling out a huge SLR in a restaurant is perhaps a little indiscreet, setting up a mini tripod on the table even more so. Standing on chairs, re-arranging furniture, adjusting the available lighting, re-setting the table are all things that I’d class as ‘generally unacceptable’. Making waiting staff more or stop what they’re doing (i.e. their job) whilst a photo is taken must really hack them off. The other big problem is the technical issues around photography in low-light situations. You’re faced with often very low light levels, poor camera equipment (really, who wants to lug an SLR around on an evening out?) and a need for discretion that means that photographs are snatched quickly. Over-riding all of this is the fact that you’re likely to have paid a lot of money for the plate of food in front of you – it tastes better if it’s still warm. What of the other side of the coin, though? What’s in it for the restaurant? Food bloggers and restaurants have a fractious relationship at the best of time. We’re amateurs. We’re not trained writers. We only visit places once or perhaps twice if we’re very lucky before writing about them. Our views could have a far-reaching impact when published on a medium that’s instantly accessible, searchable, available. We can damage their business with our below-par photography and stumbling, half-baked opinions. Collectively, our voice is more powerful than we realise. 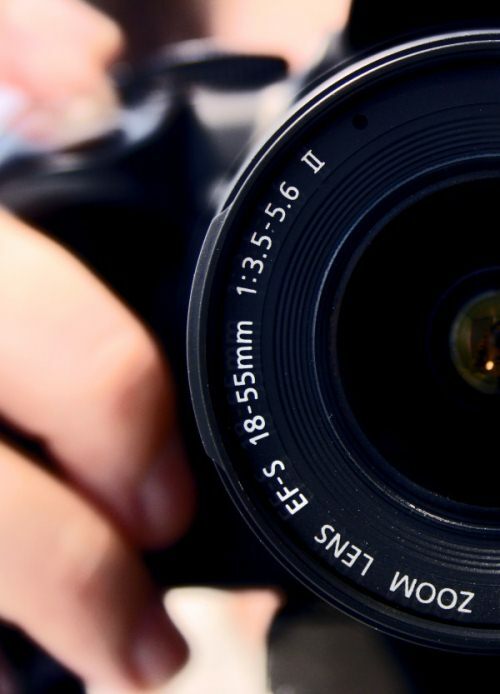 It’s no wonder that some restaurateurs feel a little tetchy at the sight of yet another amateur hack brandishing a camera in their dining room. They must dread another badly written review, another small nail in the coffin. On the other hand, a good review, alongside some delicious looking photos of incredible food really can’t but help a restaurant. It’s a real contradiction, and there isn’t an easy solution to it. Each restaurant will have a different relationship with and feeling about food bloggers. You just can’t tell, and, being British, there’s no way I’m going to ask. No flash. Never, under any circumstances use flash. It’s just plain rude and very intrusive. Think of your fellow diners. No tripods, however small – a restaurant table is no place for extra camera gear. Don’t stand on the chairs – don’t even stand up – get the best shot you can whilst sat down. Surely your mother told you not to stand on the furniture. Her advice still applies today. Don’t take photos of people – neither your fellow diners nor the restaurant staff want to end up plastered all over the Internet. If you want to use somebody’s image, you need their permission – not getting it could land you with some attention from the Information Commissioner, and you don’t want that. Be quick, and be discreet – you’ve got a couple of minutes, maximum. Take whatever photos you can without disturbing anybody at all, then put the camera away and eat your food. That’s why you’re there. If in doubt, ask – if the restaurant staff say no, or ask you to stop, respect their wishes, and whatever you do, don’t carp about it later on the Internet. It’s really not that big a deal. My method is to use a very small camera, hold it as still as possible with my elbows wedged against the table, my hands cupped around the camera to hide it from view. I take a couple of shots and pray that one of them is good enough, or at least rescuable later. Sometimes I get a good shot, and I’ll use it, other times I don’t, and I try to think of some other way to illustrate the post. Maybe I’ll return in the day and take a nice photo of the restaurant’s exterior, or perhaps I’ll email later and ask if I can use an image or logo from their website. Sometimes I’ll try to search out a relevant stock photo. I avoid causing any kind of disturbance whatsoever, and if I feel that I shouldn’t be shooting, I don’t. I hope that nobody even notices what I’m doing. This is an interesting post. My blog wouldn't be what it is without the pictures, and I know my pics are sometimes underlit, out of focus and not very glam, but then that is part of the reality of the blog. As for half baked opinions, its still your opinion and you're a paying customer, its only same as what you would tell a friend or write on a website like qype. I think blogs, like restaurants are built on reputation, and I dont think people would come back to my blog like they do if I started spouting snobby self righteous tripe. Restaurants need to understand that bloggers are going to eat at their restaurant and blog about it, its a fact of life, and any attempt to fight it would only be detrimental. Your 'rules' are pretty much on the money though, I would never use a flash or do anything more disruptive than lean over the table to take a picture of Liams plate, if I take interior shots of the restaurant I make sure no one other than my party are in the shots. This is out of respect for other customers who should not be disrupted by some crazy blogger. I don't like blog posts that don't have pictures so I don't write posts unless I have a picture to accompany it. I guess I might feel differently if my writing was better but I'm digressing 🙂 Some blogs consist entirely of restaurant reviews, they'd be incredibly dull (to me, anyway) without pictures. I use a small point and shoot without a flash when we're out and I think that's pretty unobtrusive. I don't see why other diners should complain about that, it's no more distracting to another table than someone sending a text message and I don't think there would be complaints from another table if that happened. It's becoming so much more popular for people to photograph their food now, regardless of whether they're bloggers, that I think people will eventually see it as the norm. I always ask before I take pictures at restaurants and even the poshest ones are happy to let you, as long as you don't use flash. I have only be turned down once (apparently they have had blogs not "do justice" to their food). Katie, that's very true – restaurants have got to accept that we'll write about their food. That is, as you say, just life. But they don't have to like it, and I strongly suspect that many of them absolutely hate it. It won't stop me doing it, but I do worry about the impact that reviewing a restaurant could have. It's just a bit of fun for me, but it's a livelihood to them. Kerri, yes, you're right, I don't like photo-less posts either, and I also just don't write anything if I haven't got a photo to back it up. Is taking photos in restaurants becoming the norm, though? I'm not so sure. I still don't see people doing it that often. Here's one more aspect to this interesting topic…..I actually have friends & family members who make me promise not to take photos when we dine out. It goes with the territory..lol! It's a really good question, because there's really no single answer. While I haven't met with a restaurant that has a strict "no photo" policy, I haven't been blogging that long and I know there are some restos in large cities like New York or Los Angeles that are protective of their food. I don't know if I totally agree with that extreme, but in the same breath, I agree with you that as a blogger, we are still guests in a restaurant and should have some amount of courtesy. I don't have a big fancy SLR camera (yet), but even if I did, I'd still stick with a little point-and-shoot like the one I use now. They're great for discreet shots and sometimes I try to sit by windows or under lights knowing I'll need as much exposure on the food as possible. Most restaurants are very cool about it, putting you in well-lit spots to make for easier photos. As a rule, I won't write a bad review (like Mom says, if you can't say something nice…), and even at places where the food wasn't my favorite, I'll still try and find something positive about the place because maybe someone else will give the restaurant a try and find their own special experience there. As a past owner of more then one restaurant I can tell you as long as people were discreet and polite I didn't mind. I was proud that my food and my restaurant will be promoted and I didn't have pay for it. As long as the restaurant is making food they are proud to serve they shouldn't object. It's free publicity. As long as the people taking pictures are giving the proper credit to the restaurant. Another thing to remember is to be objective when writing about restaurants and give them a fair review. I'm always taking photos in restaurants. I take my little point and shoot since I do want to be discreet. I don't take photos of others but will ask others to take a photo of my hubby and myself. Fortunately, we live in a very informal area and people are willing to lend a hand. Restaurants seem flattered to have you photograph their presentations. I have never had a problem when taking photos of my food. I try to be somewhat discreet, but I have been asked why I am taking a picture by staff. I just say I am a food/fitness blogger and take pictures of food for my daily blog. I have never been asked not to do that. Usually I either get a puzzled look or they want to talk more about it. This is a great conversation, and one that I would love to chime in on… I've worked in SF for the last few years and event spent over a year working with a Food Network "Celebrity Chef" in the front of house. I can't say anything that hasn't been mentioned except, take pictures! As long as you are being polite, and you are curious about the food, restaurant, ingredients, chef and plate in front of you, everyone at the restaurant should adore you. They (the staff) are taking pride in providing you something that they stand behind, and seeing you, the engaged, photo obsessed food nerd, only fuels the fire. Bravo! I know of one restaurant that doesn't allow cameras (Bess, in Austin, TX) but I've never had problems taking photos of my food. I do use a DSLR and it IS a pain to carry around, so usually if I'm at a posh restaurant I don't have it anyway. I used to feel very awkward about taking the photos, but no one has ever said anything to me about it and I'm quick (and no flash ever!). If I know I really want to get photos of a place I'm going to, I'll try to go on a slow night or even at lunch so there are fewer people, the light might be better, etc. I couldn't bring myself to take photos in restaurants when I was in Paris, though. I think it depends on the circumstances. If the restaurant is crowded and my taking a photo would be a disruption I definitely wouldn't do it. If the waitstaff asks me to stop, a simple "okay" and putting the camera in my purse avoids a real situation. You can always say that you were admiring the food and want to remember it. If a group is at a restaurant celebrating a birthday, they usually don't think twice about snapping photos and even asking the waiters to take photos (which I think is a tad obnoxious), so discreetly snapping a photo of your plate doesn't seem like such a big deal. Call it a celebration of food. If a photo doesn't come out well, I usually don't publish it. If you're raving about how good the food is, but publish an unappetizing photo, I don't think it enhances the post. This is why I rarely write restaurant reviews. (I've only written one.) I took that photo because the restaurant had outdoor seating and my family and I were the only people out there. The natural lighting created a beautiful photo. I know of a couple that has a no camera rule. Bad experiences and reviews I guess. But most restaurants are Ok with it. I tend to take my photos quite fast because I am aware of other people with me and do not want the food to turn cold. Most laws about taking pictures in private establishments would allow the owners the right to not allow photography. However it is in their best interest to allow you to take pictures (as long as you don't disrupt other guest) because it's good advertising. If you happen to write about this restaurant and happen to use photos they might have claim that you never had permission to take the picture and depending on local laws may be able to ask you to remove them. Again this would not be in the best interest of the restaurant since you are offering free advertising. I can't resist taking pix of food especially when d dishes arrive on d table like works of art. However, I always try to be discreet & turn off d flash on my digital camera. So far, I've no prob taking pix in fine dining restaurants 🙂 Thks for d interesting post! Wasabi Prme – I agree – it's important to find something good to say about a place, and if you are going to take photos it's good form to arrange your visit so that good photos are possible. Sitting near a window at lunch is a definite tip. Ms Bibi, Scott Wiese – it's great to hear that actual owners would accomodate this sort of thing, and you'r right, the kitchen should be proud of the food it sends out. if they aren't why bother at all? Megan – I know what you mean about really high end restaurants – they initmidate the pants off me at the best of times, and I can't imagine pulling out an SLR and shooting. It's just unthinkable! If owner said there is nothing much I can but I still try to take 1 or 2 quick shots if nobody is looking. Great question! I usually ask, or take a quick photo without the flash. 🙂 I've never had a restaurant say no. If you are not sure, ask for permission! My way of thinking is that you are making a compliment by taking a picture. If the owner/restaurateur/chef does not agree, it just means he has not the self-confidence! Now, I take pics only with a powerful Japanese-made mobile phone. Personally I don't appreciate someone making a show of taking a pic with a big show-off camera unless an interview was agreed beforehand! otherwise I think that Katie has got the gist of it! As has been said above, I dont like to write a bad review as I know what kind of impact that could have especially on small independents. Destroying lively hoods is not what the blog is about and I dont think people would read if I bitched about every other place I visited. But on the flip side, Jay Rayner often writes lukewarm reviews, and he carries much more weight than me! If a place is truly abysmal then people need to be warned. I normally email the restaurant fist to discuss a bad review and then if they dont seem to care/apologise/want to rectify the problem I go ahead and publish it! Katie – fair enough. If they’ve had their chance and fail to take it, you’re completely en titled to speak your mind. Foodlovee – not sure about that. If they ask you to stop, you should just stop. Sneaking extra frames probably isn’t a good idea. I live in NYC and taking photos everywhere is a norm here. I do not bring my point and shoot camera, since I own a DSLR. Restaurants most of the time think I'm either a photographer or a photography student. Plus I always take photos without using the flash. I see no reason why taking a quick photo (or two or three) should be an issue at all and I certainly do it for my blog. I've never had any issues, though sometimes the wait staff will comment light-heartedly about "you must really love food" or the like, at which time I casually mention it's for my restaurant review blog. That's almost always followed up by them hoping I enjoy myself and to let them know if I have any questions or comments. I have had several managers come over and personally check on my experience during the meal as well which I thought was professional and well done on their part. I'm generous and open about what I'm doing and they've always respond well. That said, there certainly is camera precedent set by the frequent flashes that accompany birthday parties, anniversaries, graduations, bachelor parties, etc. I see nothing wrong with taking flash-free photos of your own food on your own plate. I would not say it's fair to take photos of the restaurant itself, the decor or ambiance, or other patrons as those to me feel like they would require consent. I do use a tripod and it's helped my photography tremendously, though I'm certainly not a gifted photographer. I use a small digital camera and a Gorillapod. The tripod's only a few inches long, quickly snaps onto the bottom of my camera, and allows me to guarantee my photo's not wobbly. I don't bring additional lighting and often have to rely on the "Indoor" setting on my camera to produce photos with visible content. Overall, I'd say treat the restaurant as you'd like to be treated and you'll rarely run into any issue. Besides, any restaurant that's too caught up being "exclusive" will have a difficult time entertaining the majority of their customers. Interesting post. I'm not too keen on taking photographs in restaurants, it can be annoying to fellow diners and it isn't something they are used to seeing. I love to just get on and eat my food, although true to say I do love to see other blogs who show us the food they have ordered at restaurants, which otherwise we wouldn't get the chance to see. Also, a definite no no, is not to take restaurant photographs if children are about. I have yet to take any pictures in restaurants. I just don't have the testicular fortitude to whip out my big SLR and start snapping pictures, all the while hoping no one makes a snide comment in my general direction. I'm surprisingly shy that way 🙂 That said, I love restaurant reviews with great pictures of the food served. I do think it's best, if possible, to get permission to take the pictures first. I'm with you on this one in that I'm not too sure where I stand. It's not something I do but then again I don't do any reviews. I think it is a bit like getting the camera phone out at a gig. Jessie – photography student? That's a great cover story! Karen – "testicular fortitude" – excellent turn of phrase. I'll borrow that one, if you don't mind? JustCookIt – camera phones held aloft at gigs drives me mad. Everybody knows that the only things that should be held above the head at a gig are your arms or a lighter… Oh, hang on, they've banned smoking haven't they? For the restaurant's part, it's not like you're posting their recipes or anything, so I don't see how it could make them uncomfortable. As for the patrons… my rule of thumb is, if it's universally considered gross, don't do it. Don't throw food… Don't chew with your mouth open… Don't smoke in a non-smoking establishment… You get the idea. Since taking pictures does not fall into that category, it wouldn't phase me personally one bit if someone at the table next to me pulled out a camera. On the other hand, maybe I'm jaded living in Orlando. You'd be hard-pressed to go anywhere at say, Downtown Disney or Universal CityWalk without ending up in someone's family vacation album. Great post! Thanks for starting the discussion! Just found your blog today via the Keith Floyd tribute round up! I have taken photos of my food in restaurants for years and years and years… and yet I’ve only been blogging for 6 months! For me it’s a memory thing no different to people taking snaps on holiday. For me, a great meal is something I often remember for a long time, so it’s nice to have photos! In establishments where other diners are taking photos of celebrations / each other, I don’t worry much about being desperately discreet. In other places, if the atmosphere is more lowkey and the decor quite dark and chic, I’ll be more discreet but still take photos! That said, even at my least discreet, I don’t re-arrange the table, I don’t stand up (let alone stand on a chair!) and I don’t get in the way of staff or other diners! I will use flash, on occasion, but I judge it according to the environment. Also, I take one, or very occasionally two, shots of any dish and am very very quick about it. If the shot doesn’t come out, too bad. It always remains first and foremost about enjoying the food rather than about capturing the perfect image! Now I blog, I really do like to have photos. I don’t enjoy reading blog reviews without photos myself and I strive to make my blog one that I would enjoy reading, if it were someone else’s. I enjoyed this article and it was funny too, thank you for sharing it and I totally agree with you. My hubby is a pro photographer for more than 15 years and when he shot weddings, can you believe that some of the churches wouldn't let him use Flash or move around with his camera? So, I can just imagine trying to snap photos in a restaurant! But the photos do make a huge difference and we eat with our eyes first! If I go to a blog and the photos aren't the best more times than not I'm leave faster than a blog with fabulous pics. I think that change is hard for people in general and now that food blogs are popular, that restaurant staff and owners will have to somehow get used to having people come in to blog about their place and their food. Whenever someone has photographed their food here at The Gunmakers, and the photo has turned up on their blog, on Twitter or on Flickr, both myself and the chef have been very happy! I think flash is key. NEVER use it and be quick. Also, consider going to the restaurant for lunch. The lighting will be better and the atmosphere will be more laid-back during the day. If you have to go for dinner, I always start by taking a quick photo of my dining companion and then ease in and take a quick one of the food. This is an interesting one, and a subject that is coming up in conversation much more regularly of late. I think, if done discreetly, photography in a restaurant is fine. I tend to use a camera phone, which many people tend to have out on the table anyhow… The quality isn’t anywhere near an SLR, but visuals add so much to blog posts that it’s worth doing. As for bloggers reviews ruining restaurants – I don’t think one bad review will destroy a business, (unless the reason is incredibly serious… rats in the restaurant type of serious…). Restaurants have always survived through their good reputation, and if they are serving less than adequate food, or their customer service is bad, this should be raised by the customer and then addressed by the restaurant. The review could help them if anything?